We hope (and we pray) that our patience and love will persevere. We hope and we trust our children learn not just the lessons in books but also the lessons in life from a teacher we know and (usually) trust! We hope in the Lord to carry us through, to clean and cook and teach His heart when ours feels weak. ... the hopes of the Godly will be granted. If we have not hope, have we anything to look towards? Even our eyes on God is hope wrapped in Love. Yes, I will take Hope on a day I consider valuable H attributes in Homeschooling. May you have Hope each day as well! For today's spilled milk is tomorrow's laughing puddle. 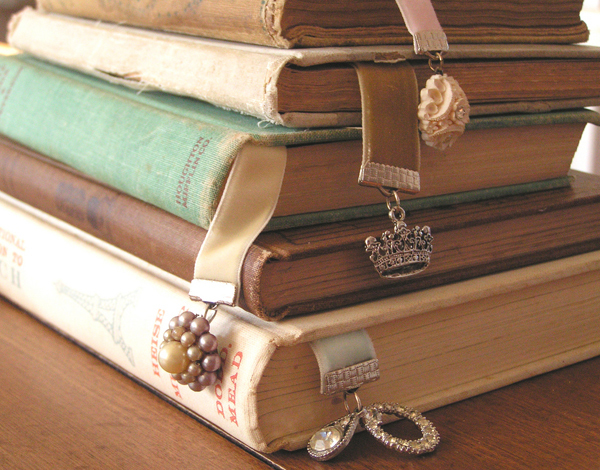 Homework will be done and hearts will grow and learn... because we had Hope and God guides it all. I don't want to count blessings today. To be honest, all I see are what I don't have today and it bothers me. If you want to know the truth, I feel downright depressed about it. Then it occurs to me, as if God is whispering peace into my soul, this is exactly why you should count blessings at this very moment. Memories sunk into me like water into dried land. Memories of a hospital room and a grandpa who was far away. A casket and a man who didn't look like grandpa anymore. Why? Why did he have to die? Why does my heart hurt so much? I understood then. He wanted to go. He was done living. I let him go. Yet now, 4 years later, it suddenly hurts so bad my heart could split. See his laughing eyes? 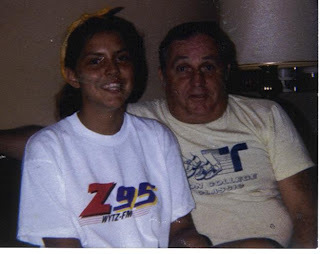 Me and grandpa, I was in high school. 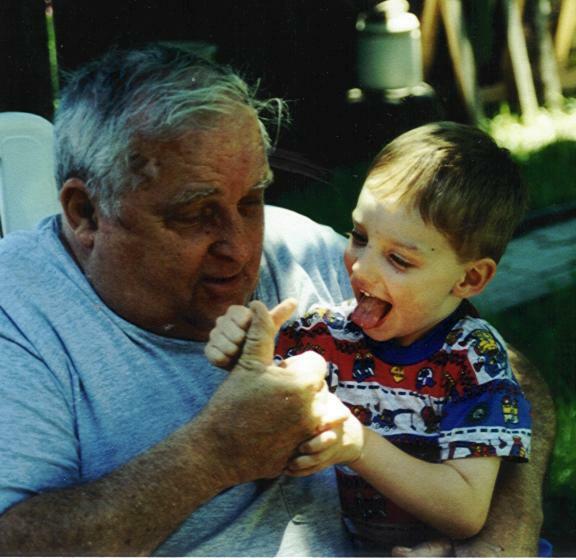 Grandpa and a 3 year old Zach! Exactly 14 years ago. They had so much fun! How can a soul not come back to life with such beauty all around? On our way home we pass the busy cemetery. I am reminded of mom and of grandpa almost 2000 miles away. Is someone visiting their graves today? I hope so. I am thankful for the time I had with them both (95) for the ways they improved my life with love and laughter. I am thankful that the hurt can pass and this memorial day I can remember how everything always turns out O.K. May God bless you to remember all the things He brings you through and all the ways life can turn out O.K. By the grace and guidance of God I launched my first e-book! I was nervous and excited and am looking forward to hearing and seeing where this book goes and where God leads me with it! Click on image for FREE download of the book. We are wrapping up our year with a unit on measurements. I introduced Ashley to exponents, those buggers are tricky! We managed to plug along each day, counting down and knowing the end is near! We also started sampling Math Blaster by the Jump Start people. I will be reviewing this product. I am hoping to use it for bridging activities this summer. They can be on summer break AND learn without feeling like it is drudge work! The annual Curriculum/Garage sale with our Homeschool association is this next weekend!! I really MUST get our old and unused stuff out of storage so I can try to sell it! I need to contact them as well to see where and when I take it in. I look forward to browsing all the books and (maybe) investing in some needful additions to our curriculum. Praying for some sun so park trips may be possible and Brooke is begging me to take her back to Salvation Army where she is anxious to use her savings (a whopping $1) to purchase a new stuffed bunny she saw there yesterday! Do you think she needs more?! This isn't even all of them! The retreat last weekend, for sure! Also, a wonderful study the kids and I had today about what Love is. Keeping those papers graded and folders ready before bed! I was on the ball all except one day this week and kids were waking up gung-ho to learn as a result. Love it! What's not working is planning anything for the afternoons other than finish up time for whatever wasn't completed in the morning. I will have to pray on this, and our learning environment, before starting back up in the fall. Pushing through when the going gets tough and the tough want to drag their feet is a thought that gets me through a lot of days. I have gone the lazy route, back when we were first homeschooling. I regret what I robbed my kids of by doing that. In the spirit of 'no regrets' and knowing God forgives all and my children are oblivious to my frundgeries (thank you Lord!) I remind myself of those days when I want to slack. Some relaxing in schedule is good... but too much... just doesn't work for us. CARPI DIEM! While this week has been a good one, it came with the usual doubts in self, desires to see my children at their best and feeling like we were all falling short, and a search for hope that did not go unrewarded. I pray, that through your good weeks and bad you keep believing in yourself to teach, to love, and to be the wonderful mom God has called you to be. Do you Hoopla ? We do. At the risk of sounding like a commercial, I can say the kids LOVED Twister so when we got Hoopla for Christmas this past year.... they loved it even more! Hoopla is by the Twister people and runs on that same premise. You can play it like Twister by putting the hoops on the ground and placing hands or feet on them as they are spun. You can grab and toss them onto appendages, race with them on body parts, even put them on each appendage and twist into each other as you have to 'Right hand red' grabbing at your neighbor's red hoop around his ankle with your right hand while YOUR other neighbor grabs at your red hoop on your flailing wrist with his right hand.... yeah, it is Twister! Our favorite is the races. I have some pictures of those scattered around my blog from the last two weeks. Hoopla would be a great game to take camping, picnicing and family reunioning! And, no, I am not doing a review or being paid to say all this... it is just that cool! I had to pass it on! God Bless you this Memorial Day weekend! Now I am an educator and I find myself feeling the same way! Except, I know it is the best way to reinforce certain skills and check their abilities. Math and writing just aren’t the same without the work to show you know your stuff. As my grading pile taunts and bedtime calls, I think of those high school teachers of long ago… they were often grading 20-30 papers, from my class alone! What about the other 7 periods of the day? My creative writing teacher suddenly has my admiration. My Honors English Literature instructor, who required an essay almost every week, now holds my respect! I think on them and their classes and I am suddenly revamped into grateful for the papers before me to grade. I am blessed that I only have 3 sets to go through with my red pen. I am thankful to know right away if my students are struggling. I am encouraged to sit with them and walk through mistakes, re-explain directly, and spur them on to retry and do better. All things they or I could not do in any other setting. I do this often. 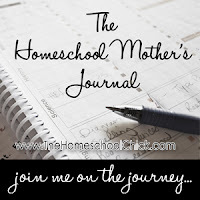 When homeschool days are met with challenges, when I feel like my teaching isn’t enough, or I just feel like it is too much. I stop and think, like Bing Crosby and Rosemary Clooney, counting my blessings. A comparative analysis of what we would have and what we do have and how God works in it all to bring us through each day. I pray you may think on your hope and blessings today! How often do we leave home to look for new life? We move on, we take a vacation, we go on a picnic... all to experience a 'new life' in a new place doing something even slightly different. It can be frustrating when we are looking for 'new life' but can't seem to just get away and find it. Schedule, family, time, car... the reasons are numerous. We ache and groan to our very soul just hoping to find that 'new life' we feel we so desperately need. ... or seeing a tree and knowing the forest around was started in one seed. New life is not only within, it is also found with-out. It is sitting in the middle of the yard with the soft grass underneath, breathing in the sweetness and warming in the sun. With each sunrise springs new life in a new day and a new hope for renewing in the presence of God. Jesus left home to give new life. He went far from above, trudged down below, and all for love. When our souls cry out to get away and renew life within, we can lean into the One who came to give it. Not just at salvation, but every day after is an opportunity for renewal of spirit. I know I shared this song on Monday, but for those who didn't see it, it is worth sharing again! When the nights seem long and the days seem longer, play this song, meditate on the Lord, and believe that your New Life and New Hope and Peace of Heart is found simply by being in His presence. God Bless as you find renewal in the life of Christ! I can't believe it is finally here! Ever since God put this vision on my heart, I wasn't completely certain how it would all work out, I only knew that it would work... because it was from God. I will let the "Introduction" from the book do all the explaining for me! The completion of this book was a big part of what my weekend retreat was intended to accomplish. I praise God for guiding me in this project and for giving me an amazing husband who can help get it all out there! Testimonies: The Power of Prayer, is my story. It is a reflection of how prayer, from early in my life until now, has carried me, protected me, and delivered me into God's hands. In this book you will see some of the hard life issues I faced and you will see how God saved my life, and the lives of my children, on more than one occasion. I pray that every reader of "Testimonies" will be inspired in their own walk with Christ. I pray that those who do not already know Christ, will be moved to make a commitment to Him as a result of seeing God's message in this book. I hope you will pray over it with me, download it, read it, and share it. If you want to be part of the project you can visit the "Testimonies" section on our KOG Missions website. To download the FREE e-Book, click on the image of the book cover. I would also welcome your help in promoting this free e-book. If you are interested, you can send people to our website, www.kogmissions.org where we have a large e-book banner at the top of the page. 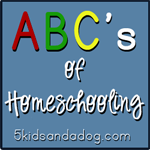 You can also grab our promotional button here on The Faithful Homeschool. This button links directly to the pdf file at KOG Missions. God Bless you today, and each day, may you see His divine fingerprint in the testimonies of your life! So as I pondered and thought on the two weeks we have left of schooling before our 'official' summer break, I considered how I soooooo want to be done today, not in 10 days! So how did I get moving? With the ever-essential: Go-Get 'em attitude! On your mark, Get set..... GO! I am sure you have heard it said, 'homeschooling isn't for the faint hearted'. It is so true. To pull together spelling lists and make sure all homework is ready to go at the start of each day is not always an easy task. Grading, teaching and guiding when all you want to do is the dishes or the laundry or... just rest! I preach to myself here, so don't take it too personally! I am guilty at times of slinking out of bed and groaning as I look at the homework basket and grading pile (like I did this morning!). I turn to God, I pray, I seek ambition from the endless Source of such things, and then I jump in and Go-Get'em! Today's jobs well done saves tomorrow's anxiety of all that is falling behind. God Bless you this week as you Go-Get 'em! 71. I am so grateful to God for calling me to a weekend away and much needed rest and peace... in such a lovely place! 73. Delicate purples beside a path of rock and dirt and pine. 74. Big hearts and generous hospitality of good Christian people who put concern for people above concern for a bottom line. 75. The slightly flooded lake kept me pushed back to the grass line when I went for walks. I would have stuck with rocky shores and missed such a tender green picture had the lake been at normal level. 76. Coffee (and breakfast, and lunch, and dinner!) on the deck, among nature. NO sounds except the breeze, the birds, the buzzing of bees and the water when fish would jump and birds would dive! Serenity. 77. Forecast: cloudy and rainy. Prayer: blue sky and sunny. Prayer won out! Thank you Lord! The amazing thing? It started to cloud up as I packed to go and the rain fell when my tires hit the highway home! God is so amazing! 78. Isn't it interesting that the only planet to sustain life able to appreciate beauty holds such amazing sites? To look out and wonder where, exactly, does land meet water... I have to think, God created all this for me (and you!). Praise be to Him. 79. A place for reflection, to sit and write and be and breathe (and read a little too!) perched on the side of a hill with all the great views of above. Perfect. 80. On my last morning I was studying my Bible and stumbled across this artist. As I looked at some of her music, I found this song. I can't think of a better message of gratitude then this! Retreats and time away are not always easy to obtain. It took more than a year for me to be blessed with one (and it took many years before that!). However, retreats away are not the only way to find peace and rest in God. Walks through peaceful surroundings, a corner in your home, or alone in your car at a woodland park can be perfect retreats for your soul. Thank God for the little things and the little ways he reveals himself, not just in creation, but in your life every day. I pray, wherever you are and wherever you go this week, you are able to find the peaceful places in God's creation around you. May God Bless you in multitude this week!